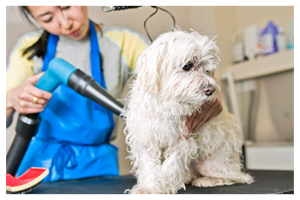 Our comprehensive grooming services are perfect for you and your pet's needs. Should I groom my pet year round? Is it appropriate to tip my groomer? The simple answer is yes. The benefits of grooming are not limited by seasons. Grooming provides many benefits including preventing foot problems, matting, and discomfort. The cost of grooming is dependent on the size and temperament of the pet, the condition of the animal's coat, and the type of grooming that you want. This is a frequently asked question. It is appropriate (and greatly appreciated) to tip your groomer. Grooming is a professional skill which takes years to develop. Are you also a veterinary service? Because of the variety of pets and the differences between them it is hard for us to give you an accurate estimate on our services. We can give you a quote but it may not be correct. 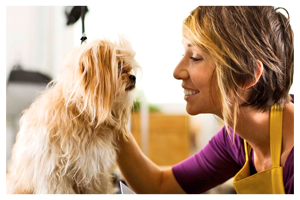 Often times your pets will visit their groomers more often than their veterinarians. Our professional groomers get to know your pets very well over time. We are not. 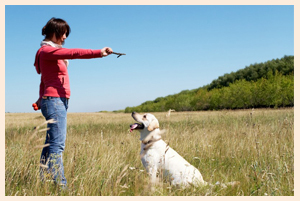 However since we spend so much time with your pets we are a valuable resource for your vet. We can inform you of any changes to ensure your pet's health.